Lincoln Certified, LOW MILES - 21,480! 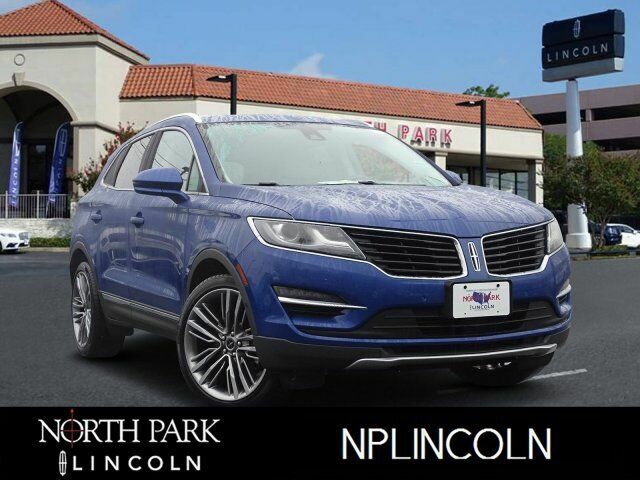 NAV, Heated Leather Seats, Sunroof, Panoramic Roof, Turbo, Power Liftgate, All Wheel Drive, LINCOLN MKC TECHNOLOGY PACKAGE, WHEELS: 20 POLISHED ALUM W/DARK STAI... ENGINE: 2.3L ECOBOOST AND MORE! Leather Seats, Navigation, Sunroof, Panoramic Roof, All Wheel Drive, Power Liftgate, Heated Driver Seat, Cooled Driver Seat, Back-Up Camera, Satellite Radio, iPod/MP3 Input, Onboard Communications System, Remote Engine Start, Dual Zone A/C, Smart Device Integration. Rear Spoiler, MP3 Player, Privacy Glass, Remote Trunk Release, Keyless Entry. LINCOLN MKC TECHNOLOGY PACKAGE Adaptive Cruise Control & Collision Warning, brake support, Active Park Assist, Forward Sensing System, Lane Keeping System, WHEELS: 20 POLISHED ALUM W/DARK STAINLESS POCKETS Painted, Tires: P255/40R20, ENGINE: 2.3L ECOBOOST, THX II BRANDED AUDIO SOUND SYSTEM 14 speakers, LINCOLN MKC CLIMATE PACKAGE Heated Steering Wheel, Heated Rear-Seats, Rain-Sensing Wipers, Windshield Wiper De-Icer, Auto High Beams. 2016 Lincoln MKC with Notorious exterior and Vianca White interior features a 4 Cylinder Engine with 285 HP at 5500 RPM*.